Mainline Road and Bridge Construction Inc. The Ohio Department of Transportation (ODOT) needed to find the most economical way to replace twin interstate slab bridges on US Route 40. The primary concern was future life cycle and maintenance costs associated with the bridge. 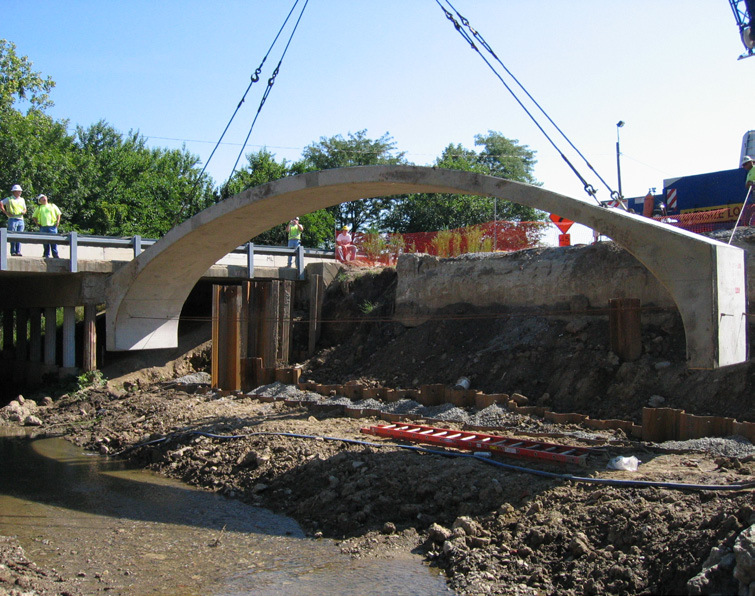 As a result of ODOT’s analysis, a single cell precast arch was chosen to replace the twin bridges. The 42’ span by 10’ rise CON/SPAN® had minimal maintenance costs compared to the option of slab structures, which often require costly overlays and deck replacements. The CON/SPAN® structure was installed in two phases, keeping traffic disruption on the heavily traveled interstate to a minimum.